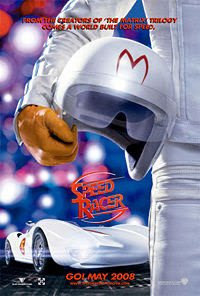 Speed Racer (Emile Hirsch) is a young man with natural racing instincts whose goal is to win The Crucible, a cross-country car racing rally that took the life of his older brother, Rex Racer (Scott Porter). Speed is loyal to the family business, run by his parents Pops (John Goodman) and Mom (Susan Sarandon). Pops designed Speed's car, the Mach 5. The owner of Royalton Industries (Roger Allam) makes Speed a lucrative offer, Speed rejects the offer, angering the owner. Speed also uncovers a secret that top corporate interests, including Royalton, are fixing races and cheating to gain profit. With the offer to Speed denied, Royalton wants to ensure that Speed will not win races. Speed finds support from his parents and his girlfriend Trixie (Christina Ricci) and enters The Crucible in a partnership with his one-time rival, Racer X (Matthew Fox), seeking to rescue his family's business and the racing sport itself. This Movie also Starred by Rain as Taejo Togokhan, a rookie racer. Rain is a South Korean pop singer who is making his first appearance in a Hollywood film with Speed Racer.